Frequently Asked Questions – How can we help you today? I can't install PVCAD. Why? Make sure that you have a full version of AutoCAD, 2013 or later, installed. PVCAD doesn't work with any other versions of AutoCAD currently. I have a full version of AutoCAD but it still won't install or the plug-in won't show up in the application. Why? You must have AutoCAD 2013 or newer. It doesn't work with any of the older versions currently. Where is the PVCAD icon to load the application? 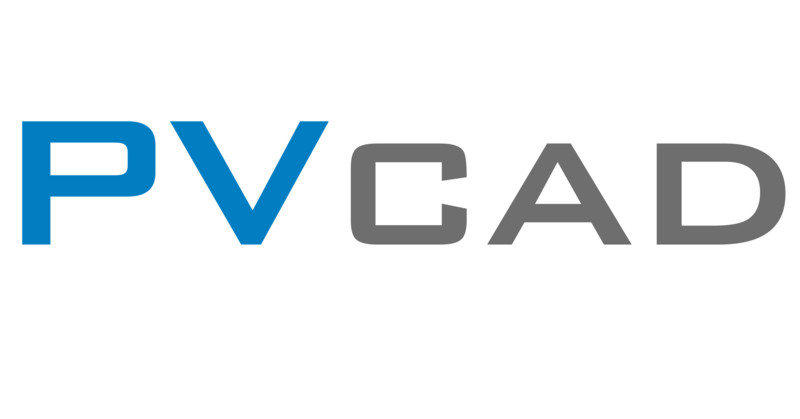 PVCAD is a plugin for AutoCAD. Start your AutoCAD software in the AutoDesk folder and PVCAD will show up there automatically. Are there drawing templates available? Yes! There are 3 templates; 11x17 Imperial, 24x36 imperial, and 11x17 imperial. You can download all 3 from this location. Check out video tutorial 1.2 to show how to load these templates. How does PVCAD calculate production? PVCAD uses NREL's System Advisor Model (SAM). SAM's performance model calculates hour-by-hour data of a solar system's electrical output for all 8,760 hours in a year. These data are available in monthly and hourly outputs that you can download in Excel format. More information about SAM can be found HERE. I don't see a module/inverter that I want to use for my project. What do I do? Users can add their own modules/inverters to the database for use. Select the 'Database' icon in the PVCAD ribbon and type in the needed variables. Once submitted, the module/inverter is available to design your project. Can anyone see the equipment that I've entered? No. Only you can see the equipment that you've uploaded. Once PVComplete checks the equipment database for user-loaded modules/inverters and verifies all values, they are opened to our entire userbase. If you do not want your loaded modules/inverters available to everyone, please send an email to support@pvcomplete.com and they'll remain visible only to you. How are shadows calculated in PVCAD? PVCAD uses ray tracing in order to determine shadow properties. Once all obstructions and roof planes are drawn for your project, PVCAD calculates their specific shadows based on the project location, roof azimuth, and physical characteristics (outline drawn in CAD). The outline of the shade is then drawn in automatically to show where the shadow will be. For more information, check out Google. Yes. You can specify the time interval along with the season when the calculation is made. Currently, PVCAD calculates the worst case scenario of shading, 10am - 2pm during the Winter Solstice for the Northern Hemisphere. If your project is in the Southern Hemisphere, the worst case scenario would be the Summer Solstice.